Weasel carries bags flour at a Brian White Foundation launch in Mbarara last month. 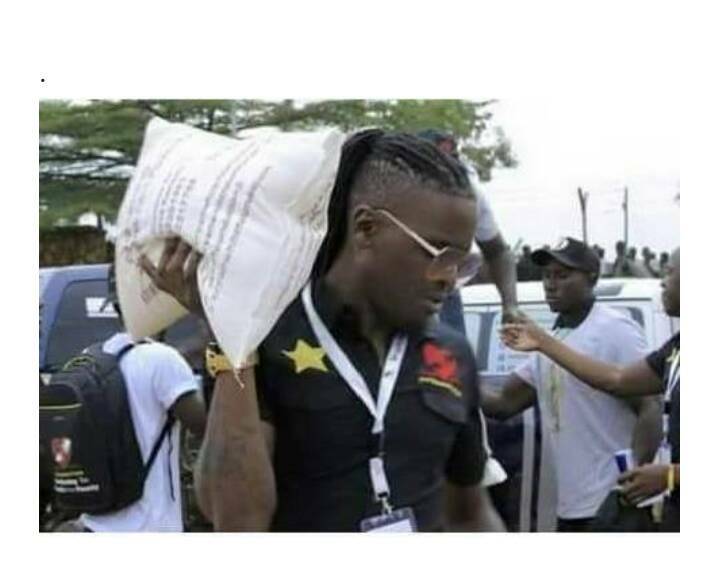 Pius Mayanja aka Pallaso this week defended young brother Douglas Mayanja, aka Weasel, for carrying a bag of flour on his head last month at one of Bryan White Foundation events. In an interview with a local tv station, Pallaso said being part of a foundation or company, one ought to be involved in everything the company is entailed in. Pallaso is said to be one of the new artists joining the Foundation, alongside Apass, who is also rumoured to be joining soon. 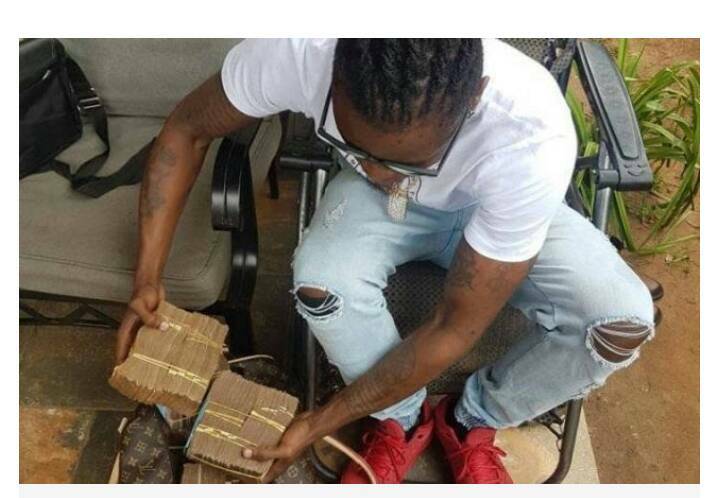 Weasel is said to be responsible for the socialite’s money, a post he has just assumed after a picture surfaced of Weasle with a bag of money at the foundation. Weasel was recently seen carrying bags of money which fans say is a promotion from carrying flour. Many fans cited this to be a promotion from carrying bags of flour. Bryan White recently bought King Michael, one of the artists signed to the White Bryan foundation, a new Mercedes Benz, ML class. Weasel is set to put more music out and performed in London on Easter alongside Cindy, Ykee Benda, Spice Diana, among others.